Gastrointestinal conditions like pancreatitis may not receive as much attention as lifestyle disease like heart disease, but they can have an even greater impact on quality of life. Pancreatitis is an inflammatory condition that affects the pancreas, impairing the organ’s ability to produce digestive enzymes and insulin. In chronic cases, the condition worsens over time, adversely affecting the patient’s digestive function and limiting the absorption of dietary nutrients. In addition to gastrointestinal symptoms, malabsorption of nutrients can give rise to dietary deficiencies and other complications. Most notably, pancreatitis patients are at a high risk of diabetes because of the vital role that the pancreas play in insulin production. For all of these reasons, nutritional therapy is particularly important to pancreatitis patients. Recommendations usually focus on the consumption of high protein diets that mainly include vegetables, fruits, whole grains, low fat dairy products, and lean protein foods, while limiting the intake of dietary fat. Although dietary and lifestyle modifications are critical to improving patient outcomes, herbal treatments can also play a significant role in the management of both acute and chronic pancreatitis. Herbal remedies for pancreatitis consist of many effective organic components that have a multi-target effect on the disease. Experiments on animals found that these herbal formulas have a significant impact and that they can be used as an adjunctive treatment for pancreatitis. Follow-up studies on patients with pancreatitis showed that these remedies are effective in treating both acute and chronic pancreatitis. Cinnamon (Cinnamomum verum) is a multifaceted medicinal plant that has anti-inflammatory, anti-diabetic and antimicrobial properties. 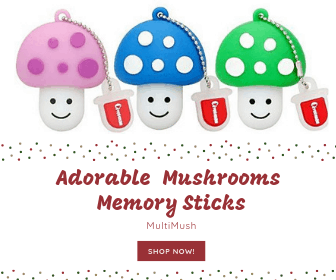 It also has lipid lowering activities, protects against neurological disorders such as Parkinson’s and Alzheimer’s diseases and lowers the risk of cardiovascular disease. Cinnamon is also used in traditional medicine to prevent and treat pancreatitis – in fact, cinnamon is the key ingredient in a Chinese herbal Medicine for pancreatitis known as Guizhi Decoction. The essential oils from cinnamon may provide a protective effect on pancreatic beta cells and ameliorate oxidative stress. Eugenol, an oil found in cinnamon may also help to prevent pancreatitis-induced acute kidney injury. To use cinnamon for pancreatitis, add 2 or 3 sticks of cinnamon to a glass of boiling hot water. Stir it for 15-30 seconds and then set it aside to steep. When the tea is still warm, add a little lemon juice and honey to taste. You can also mix half a teaspoon of cinnamon powder with a tablespoon of honey and consume this instead of the tea. The peony root (Paeonia officinalis) was used by ancient Chinese and Japanese doctors to treat convulsions. Red and white peony root extracts are also used to treat liver cirrhosis, menstrual cramps and muscle cramps. Studies show that red peony root is an effective treatment for severe acute pancreatitis as it helps to reduce the fever, abdominal tenderness and abdominal distension associated with this condition. Furthermore, this remedy can be used along with allopathic medications such as anti-bacterial and antifungal agents to reduce treatment time. Similarly, white peony root can be used to treat acute pancreatitis as it has a relaxing effect on the sphincter of Oddi which controls the flow of bile and pancreatic juice from the pancreas to the small intestine. Pancreatitis causes elevated levels of an enzyme called pancreatic amylase; since white peony inhibits pancreatic amylase, an herbal formulation with this ingredient can bring about quick results. 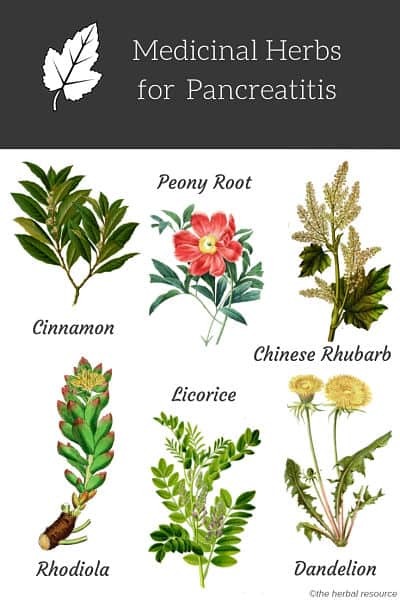 Peony is one of the main ingredients of the traditional Chinese medicine called Bupleurium-Peony Cheng Qi which is used to treat pancreatitis. To use peony root for pancreatitis, you will need to add the peony root to boiling water and allow it to simmer (not boil) for 20 minutes before taking it off the stove. Let the decoction steep until it is cool enough to drink. Chinese rhubarb (Rheum officinale, R. palmatum and R. tangutucum) was one of the first Chinese medicinal herbs to be imported to the west from China. While rhubarb leaves are toxic, the stems and roots are rich in therapeutic organic compounds called anthraquinones. Animal studies show that rhubarb extract reduced the serum amylase and tumor necrosis factor levels in rats with acute pancreatitis. Similar studies on the effects of rhubarb on pancreatitis found that rhubarb can have a protective effect on severe acute pancreatitis by inhibiting the inflammation of the pancreas. Rhubarb can also reduce pancreatic tissue damage caused by pancreatitis. It can also promote the proliferation of pancreatic acinar cells which secrete and store digestive enzymes. Rhubarb could promote pancreatic regeneration which would enhance recovery. Rhubarb can also be used along with conventional medications for pancreatitis such as somatostatin and trypsin inhibitor to shorten the recovery period, reduce abdominal pain quickly and even decrease the mortality risk. Rhodiola (Rhodiola rosea) also known as roseroot has been used for centuries as a traditional medication for stress, depression, and anxiety. Reviews in 2011 and 2012 found that this herb can reduce mental fatigue as well as enhance physical performance due to its adaptogen properties. However, recent studies found that rose root may also be effective in the treatment of pancreatitis. Animal models showed that roseroot can help to prevent renal damage in cases of severe acute pancreatitis. Rose root helps to regulate enzyme production in the pancreas as well as reduce the generation of free radicals which improves kidney function. Rose root is available as a liquid extract, a dried powder or even in the form of capsules and tables which makes it easy to include it in your pancreatitis treatment plan. On the flip side, people with diabetes have a twofold to threefold increased risk of suffering from pancreatitis. Studies on dandelion root extract (Taraxacum officinale) show that it can help to stimulate the release of insulin which helps to stabilize blood sugar levels. It also increases glucose uptake by muscle cells and has anti-inflammatory properties which can help to prevent pancreatitis. It also increases glucose uptake by muscle cells and has anti-inflammatory properties which can help to prevent pancreatitis. People who suffer from chronic pancreatitis have an increased risk of pancreatic cancer. Preliminary studies indicate that dandelion root extract can help to destroy human pancreatic cancer cells with no negative effect on noncancerous cells.
. The simplest way to include dandelion root in your recovery plan is to clean and dry the fresh root and then use this powder to make fresh dandelion root tea. Treatment for pancreatitis depends on the severity as well as whether it is an acute or chronic case. Mild cases of acute pancreatitis generally require just a few days of treatment and rest. However, if you are suffering from severe acute pancreatitis, you may need a hospital stay with IV fluids and antibiotics if you have an infection in your pancreas. If gallstones in your gallbladder are the root cause of your pancreatitis, your doctor may recommend a surgery called cholecystectomy to remove your gallbladder. If you have an abscess or an infected or enlarged pseudocyst causing pain or bleeding, the specialist will drain fluid from your abdomen. If necessary, your doctor may also remove damaged pancreatic tissue. Chronic pancreatitis treatments depend on how much pancreatic function you have as well as managing complications and relieving pain and discomfort. Chronic pancreatitis often causes diabetes; if you have diabetes, your doctor will create a lifestyle plan including diet and exercise to help manage the condition. The pancreas produces enzymes that aid digestion which is why chronic pancreatitis is often linked to malabsorption. You may also require enzyme pills along with vitamins A, D, E, and K as well as vitamin B shots. If the bile or pancreatic duct is narrow or blocked, your doctor may recommend Endoscopic Cholangiopancreatography (ERCP) which combines x-ray with upper gastrointestinal endoscopy. If you do not respond well to medical treatments, your doctor may suggest the removal of your pancreas followed by islet auto-transplantation. Islets are cells in the pancreas that are responsible for the production of hormones such as insulin. During the surgery, doctors remove these islets from the pancreas and transplant them to the liver so that they can continue to produce hormones. You should also follow a diet plan that consists of small, frequent meals that are low in fats as fatty foods can increase your risk of acute pancreatitis. It is also recommended that you drink plenty of fluids and limit your caffeine intake. Read up on pancreatitis so that you can have an in-depth conversation with your doctor and make informed decisions.